I've been inspired by Syd's posts to give the promised re-cap of the October retreat in Ocean City, Maryland. My friend and I started out early Thursday morning and stopped in Berlin, Maryland for lunch. We had heard great things about the town and it didn't disappoint. There are a number of antique malls and we explored a few of them as well as an upscale gift store. Then it was on to Ocean City to check into the Lankford Hotel. We normally head right to Salty Yarns for a shopping trip, but this time, we saved that for the next day. I settled on three projects for retreat and put some stitches in all of them. Most of my time was spent on adding another part to Blackbird Designs Anniversaries of the Heart. 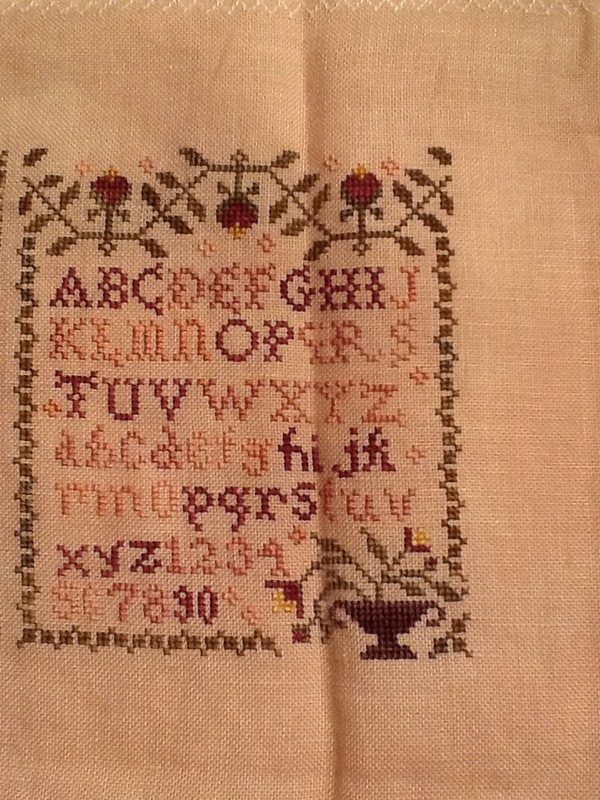 During the weekend, I completed the third section despite having to do some frogging because I was off by one thread in the border. Fudging it would have been too noticeable so I gritted my teeth and re-stitched.